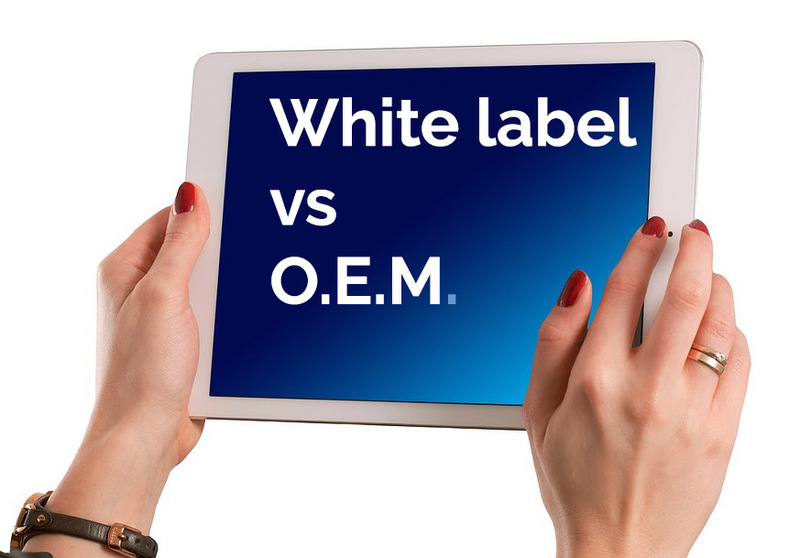 In the world of mobile apps, there is a big differentiation between OEM vs Private Label. OEM refers to Original Equipment Manufacturer. OEM is a custom version of an app or program internally integrated with another company’s system and/or software. The app is built to the company’s specifications in order to work with the system as a whole. Then a company can sell that integrated system and software as part of the overall product. A really simple example of an OEM is integrating a zipper into clothing. The zipper is made by a different manufacturer but is used in the overall product. Another example is when a car manufacturer incorporates another company’s engine into their vehicle. Private label, also known as white label, is when another company purchases an app or program and simply puts their own name on it and resells it. In other words, slapping their own label onto a product from another company. Either is an example of leveraging another product so that you can go to market faster. And, guess what? At Berry Wing, we offer both options. We also offer customized solutions with our apps, Scan to Web and Scan to Spreadsheet. If you need solutions for your inventory, packing, tracking materials, then contact us for more information.